ORLANDO, Fla. (July 1, 2014) – The exhibition Gone With the Wind: Reel to Real, commemorates the 75th anniversary of one of the most talked about films ever made. The popular exhibition relives the magic of the iconic novel and film through artifacts and memorabilia. Gone With the Wind: Reel to Real features original gowns, costumes and artifacts of the film, and is derived entirely from one collector, James L. Tumblin, who has the largest privately-held collection of memorabilia from the film. 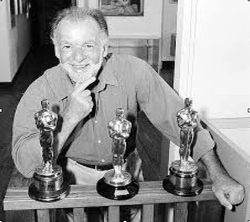 James Tumblin, who was a former head of the Universal Studios makeup and hair department, will be unveiling the Oscars won by Vivien Leigh for her performance as Scarlet O’Hara, and Arthur Arling as camera operator at the History Center Thursday, August 14. The exhibition, which runs August 16 – November 30, 2014, features more than 120 items from the film, including scripts, screen tests, and scene props. “We are excited to have the opportunity to host Mr. Tumblin’s collection of Gone With the Wind memorabilia. What better way to celebrate the 75th anniversary of the film’s premier than to bring this exhibit to Central Florida. We know our guests will be thrilled to discover the history behind the making of the movie and see all of the costumes and items from Gone With the Wind. Mr. Tumblin’s collection is a must-see and a great way to find out the story behind one of the few movies to have shaped our culture and how we think about history.” Michael Perkins, Curator of Exhibits. Doors open at 10 a.m. to 5 p.m. This is the moment you’ve been waiting for! Be the first to view the exhibit and get a behind the scenes look at this iconic film through original costumes, scripts, props, screen tests and more. At 12:30 p.m., hear the stories behind this special collection from owner James L. Tumblin, the former head of the Universal Studios makeup and hair department. A book signing will follow. Admission: $15; seniors (60+), students, and military with I.D. $13; and children ages 5-12 $12. Members and children ages 4 and under are free. For information on group pricing, call 407-836-8585. Doors open Early at 10 a.m. to 5 p.m.
5-12 $12. Members and children ages 4 and under are free. For information on group pricing, call 407-836-8585. Join moderator Dr. Robert Casanello (UCF) and panelists Julian Chambliss (Rollins College), Barbara Thompson (UCF Diversity Initiative), Maylen Dominguez (Full Sail University), and others for a discussion about the stereotypes portrayed in the 1939 “Gone With the Wind” film, and how popular culture continues to affect our impression of different types of people and cultures. Price: Members $10, students $22; non members $30. Brush up your knowledge on the classic “Gone With the Wind” film and enjoy a night of trivia! Price is $5. 10:00 a.m. to 12:00 p.m., 10:30 a.m. to 12:30 p.m., 12:30 p.m. to 2:30 p.m., and 1:00 p.m. to 3:00 p.m. start times. Doors open 10 a.m. to 5 p.m.
Museum Day Live! Anyone holding a Museum Day Live ticket will enjoy free admission for themselves and one other person to participating museums across the country, including the History Center. Tickets will be available to print August 1. For more information, go to www.smithsonianmag.com/museumday. The History Center has teamed up with the Enzian to celebrate “Gone With the Wind’s” 75th anniversary. Enjoy a special screening of the 1939 film based on Margaret Mitchell’s novel at the Enzian October 5 at 11 a.m. A preshow talk will examine some interesting facts about the film, and the history behind the special collection from owner James Tumblin. Tickets: $10. Enjoy a night at the movies as this documentary revisits the making of “Gone With the Wind,” featuring archival footage, screen tests, insightful interviews and rare film footage. Price: $15. Enjoy brunch while viewing “The Scarlett O’Hara War,” which goes behind the scenes of the casting of Vivien Leigh. Price: $10 for members, $25 for non-members. The Orange County Regional History Center, housed in a restored historic five-story 1927 courthouse in downtown Orlando, showcases the vast collection of the Historical Society of Central Florida, Inc. The museum features four floors of permanent exhibits and presents nationally limited-run exhibitions. The museum is an affiliate of the Smithsonian Institution and accredited by the American Association of Museums. We honor the Past, Explore the Present to Shape the Future. We do this through preserving our local history, acting as a repository for the community's artifacts, archives and collections, and through providing a place for non-partisan dialogue on our community and history, through educational programs and exhibits, which reinforce that we all are part of history. The Orange County Regional History Center is open 10 a.m. to 5 p.m. Monday-Saturday and from noon to 5 p.m. on Sunday. General admission during the exhibit is $15; seniors (60+), students, and military with I.D. $13; and children ages 5-12 $12. Historical Society Members and children ages 4 and under are free. Parking is available at the adjacent Orlando Public Library garage on Central Blvd. For general information, call 407-836-8500 or visit www.thehistorycenter.org.